How is your first month of the 2018 Online Reading Challenge going? 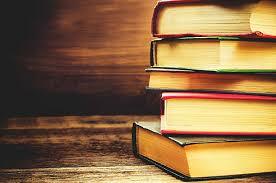 Have you found any great new titles? Let us know in the comments! 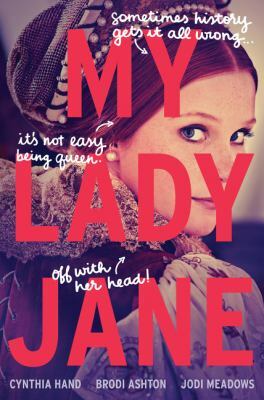 I’ve already finished my choice for this month – My Lady Jane a collabrative effort by three young adult authors – Cynthia Hand, Brodi Ashton and Jodi Meadows and it was so very excellent. If you’re a stickler for historical accuracy then you need to take a pass, but if you delight in witty, clever dialogue and description, are willing to let go of cold, hard, boring facts and able to accept a bit of magical realism well then, you’re in for a treat. According to the cold, hard, boring facts, Lady Jane Grey was the great granddaughter of Henry VII. When her cousin, King Edward VI became ill, he wrote his will naming Jane as his successor instead of his half-sister Mary. Edward choose Jane because she was Protestant and would continue the reformations he and his father had instituted while Mary was Catholic and wanted to return the country to Catholicism by any means (thus the “Bloody Mary” nickname). And indeed, at Edward’s death, Jane (reluctantly) became Queen. She only lasted nine days though as Mary was able to raise an army and the Privy Council abandoned Jane. At first Jane’s life was spared but later Mary had her executed, fearing continuing support for her. And thus ends a brief reign (and life, she was only 15 or 16 when she died). Never fear Gentle Readers! The authors of My Lady Jane have a far different ending in store for you! There are many twists and turns, but, surprisingly, the story follows the basic outline of Jane’s life – her early childhood, her relationship with Edward, her forced marriage, Edward’s terminal illness and writing of a new will to make Jane queen, her studious nature and reluctance to become queen, the Privy Council’s betrayal, Mary’s brutal claim to the throne. It’s all there, but now with lots of humor, interesting back stories and motivations, cultural and historical barriers and some sly references to the Bard himself, who may or may not have been William Shakespeare. I don’t remember having read a book that I was smiling or laughing or making unladylike snorting noises the entire time I was reading it and yet there is real tension about the outcome. This is a tough book to put down both for sheer enjoyment and for the urgency to find out what’s going to happen! The sad part is that the book ends, the happy news is that these same three authors have collaborated again and are coming out with another title, My Plain Jane, in June of this year, which will be about Jane Eyre herself. Perhaps they’re creating a series reimagining the lives of famous Janes? Could Jane Austen be next? One can only hope. 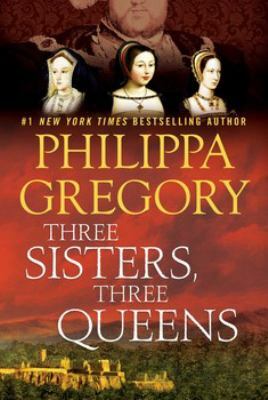 Three Sisters, Three Queens is Philippa Gregory’s latest book about the Tudor Court. This time, we get the perspective of Margaret Tudor, daughter of Henry VII and Elizabeth of York and sister of King Henry VIII. Margaret, the Tudor Princess, would become the Queen of Scotland, married to King James IV of Scotland and mother to King James V of Scotland. Even though the title suggests that the book is about three women, the primary focus is on Queen Margaret. However, the other two women, the Queen of England and the Queen of France, have an impact on Margaret’s life. The novel begins with Margaret as a young woman, a girl really. Her older brother, Arthur, Prince of Wales is to be married to Katherine of Aragon. Their marriage would form an alliance between the Spanish court and England. Katherine of Aragon makes her arrival, marries Prince Arthur and they move to Wales. Margaret misses her older brother, but looks forward to her own marriage. Her father, King Henry VII is working on a marriage between her and Scotland’s King James IV. But then, the London court gets the terrible news that Prince Arthur has died. Princess Katherine returns to court as the Dowager Princess. Her parents have failed to pay the dowry money to England. And King Henry VII refuses to pay her dowager money until the dowry has been paid. Katherine literally is a poor princess and has to pawn off her belongings in order to eat, even though she lives at court. Princess Margaret, having been jealous of Princess Katherine’s finery when she came to court, delights in seeing her brought down a peg. She believes, along with her grandmother Margaret Beaufort, Lady Mother of the King, that Katherine is too arrogant and needs to learn humility. In fact, Margaret calls her, Katherine of Arrogant to herself. At this time, Margaret is told that she will marry King James IV. Their betrothal makes her a queen and she is one step lower than her Lady Mother, the Queen of England. Margaret makes the long journey to her new home in Scotland and marries King James IV. Their marriage is fairly happy. Their first children die while they are babies and King James wonders about the Tudor curse. Queen Margaret has a son James (who becomes King James V). Katherine of Aragon marries Margaret’s brother, King Henry VIII. While England and Scotland have a Treaty of Perpetual Peace, Henry continues to ally himself with France, an enemy of Scotland. While Henry is off in France, King James invades England. During the Battle of Flodden, King James was killed. Queen Katherine had ordered the English army to take no prisoners. The army took James’ body to London and Katherine sent his bloody coat to Henry in France. Of course, Queen Margaret was angry and heartbroken to have her husband be treated this way and by her own sister-in-law. You may be wondering about the third sister and third queen. Margaret and Henry had a younger sister named Mary. Mary had been betrothed to the Holy Roman Emperor’s grandson but that was called off. Instead, Princess Mary was joined in marriage to King Louis XII of France. Their marriage did not last long due to the King’s age and health. After he died, Mary went ahead and married Charles Brandon, a friend of her brother Henry whom had recently been made a Duke by King Henry. The pair married in secret in France, without Henry’s blessing which they were punished for. Even so, Charles and Mary were welcomed at the Tudor Court. Margaret continues to struggle. She is the Dowager Queen of Scotland but she has no authority. She is even kept away from the young king James. Her husband named her regent until their child was old enough to rule but the Scottish Council disregards this. Instead, a French Duke (who is a cousin of the deceased king) is named regent. Margaret marries the Earl of Angus for love in secret. The Council is very unhappy about this. Rumors circulate that Archibald, the Earl of Angus, is already married to another woman. Of course, Margaret feels betrayed by her husband. Her brother, Henry VIII will do nothing to help her. Her sister-in-law, Queen Katherine, tells her to stay with her husband. But Katherine needs Margaret to stay married to Archibald. If Margaret would be granted a divorce from the Vatican, then that would clear the way for Henry VIII to divorce Katherine of Aragon. And Henry has been having affairs with other women and producing male children. Katherine has not given Henry an heir. The royal English marriage is in danger of dissolving. Mary, the youngest of the original Tudor children still reports to Margaret. Her letters had been happy ones, relaying to Margaret what had been happening at the English Court. However, as time passes, her letters are filled with sorrow. Mary is dismayed to see how her older brother, the King of England, is treating her sister-in-law, Katherine. Mary has to witness Katherine’s sorrow as her husband sleeps with other women. Katherine prays constantly and remains a dutiful wife. Mary can do nothing to interfere as Henry VIII sets aside his wife, claiming that Katherine was not legally his wife, but the wife of his older brother, Arthur. He claims that Katherine is the Dowager Princess of Wales and is now his “sister”. The last letter Margaret receives from Mary is grim. The woman, Anne Boleyn, is now married to their brother and will be crowned the Queen of England. Three Queens, Three Sisters is available in print, large print and audiobook.